When I was a kid I HATED brussel sprouts. That was the one thing I would not eat – nuh uh. Nope. If my mom had ever prepared them like this, things might have been different. These are savoury and sweet and crunchy and delicious. They also take almost no time to make. Give ’em a whirl. Great with a good steak or grilled fish. Brussel Sprouts are also what I would call a “nutritional powerhouse”. Part of the ‘brassica’ family, this leafy green vegetable was popular in Brussels, Belgium and may have originated and gotten it’s name there. They are a cruciferous vegetable, and an amazing source of fibre. Raw Brussels sprouts contain excellent levels of vitamin C and vitamin K with more moderate amounts of B vitamins, such as folic acid and vitamin B6. 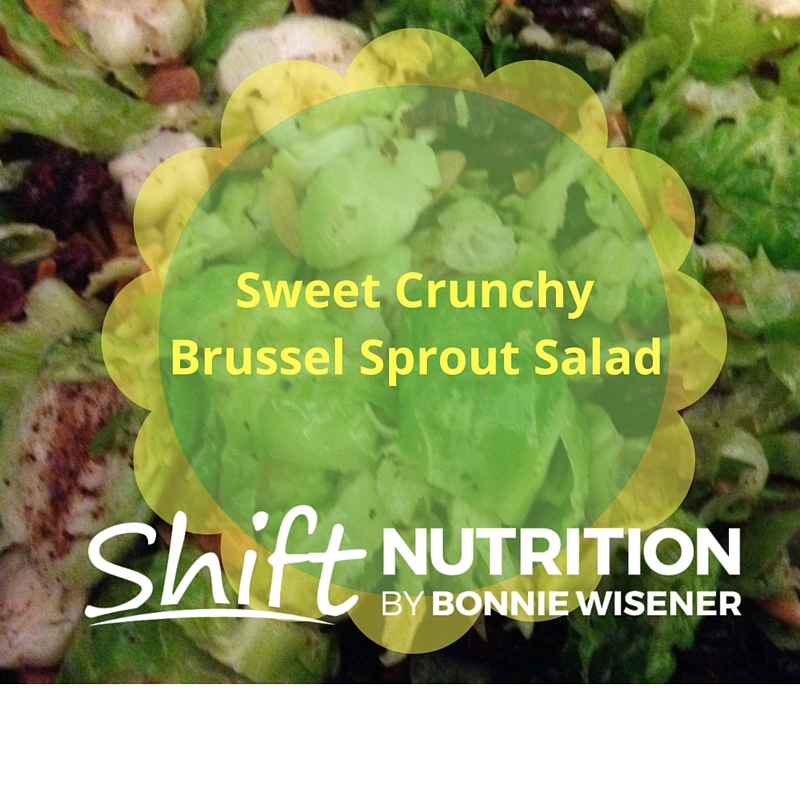 Shred the brussel sprouts by removing the core and slicing thin strips. Warm the olive oil to medium temperature in a large skillet. Add the brussel sprouts, nutmeg, salt and pepper, to taste. Keep watch and stir, until the brussel sprouts become bright and slightly wilted (approx. 3-4 mins). Add the slivered almonds and dried cranberries. Not the same as when you were a kid, I promise.